Draft: 2010, Toronto Blue Jays, 16th rd. Dalton Kenrick Pompey ... Attended John Fraser Secondary School in Mississauga, Ontario ... Had his jersey retired by the Oakville Royals in 2014... Played for the Ontario Premier Baseball League team from 2007-2010 ... Participated in the 2016 and 2018 Blue Jays Winter Tours. Played 41 games for Triple-A Buffalo where he slashed .255/.325/.418 with eight doubles, four home runs and 17 RBI ... Swiped eight bases in 10 attempts for the Bisons ... Was recalled to the Blue Jays on May 4...Entered the game at TB in the 2nd inning as a defensive replacement in left field... Marked his first regular-season game action since Oct. 1, 2016 at BOS (pinch-runner)...Led off the 3rd for his first at-bat since Sept. 9, 2016 vs. BOS, and lined a single for his first hit since Oct. 4, 2015...The 943 days between MLB hits as a Toronto batter was the 3rd longest span all-time ... Went 2-for-10 over five games before being optioned back to Buffalo on May 12. Played for Team Canada in the 2017 World Baseball Classic, going 1-for-7 (2B, RBI, 2-SB) ... Suffered a concussion while stealing second base at the WBC, leading to a placement on the DL to begin the season ... Started a rehab assignment with Dunedin on May 30...Went 4-for-14 (.286) with a double and three RBI in four games ... Had his rehab moved to Buffalo on June 4...There he played just three innings before being pulled after he sustained a leg injury while making a diving catch ... Began another rehab assignment with Dunedin on June 29...Collected three hits in four games ... Had his rehab moved to Buffalo on July 4...Went 1-for-15 in four games before being shut down with lingering injury issues. September.... In 93 games with the Bisons hit .270 with a .349 OBP...Had a 10-game hitting streak May 8-20, batting .368 over those contests (14-38)...Was on the 7-day disabled list from June 19 - July 8 due to a concussion suffered after crashing into a wall fielding a fly ball...Was called up from Buffalo Sept. 2...Appeared in eight games for the Blue Jays, with just two at-bats (0-for-2)...However, did record two stolen bases...Was left off of the ALDS roster before being named to the ALCS squad…Did not appear in a game for the Blue Jays in the postseason. Was the first rookie CF to be used on Opening Day for TOR since Sil Campusano in 1988. • Was optioned to Triple-A Buffalo in May 2 after batting .193/.264/337 over 83-AB with TOR. • In 96 games in the minors (AA/AAA) posted a line of .307/.383/.421…Recorded 23 XBH (9-2B, 7-3B, 7-HR). • In his return as a September call up appeared in 11 games, two as a starter, two as a defensive replacement and seven as a pinch runner, scoring five runs in those pinch-running opportunities. POST SEASON: • Became the first player in MLB postseason history to steal two bases without having a plate appearance in game two of the ALDS vs. TEX…Accomplished the feat for the second time in game six of the ALCS. • His four stolen bases ranked T-2nd in the playoffs (Cain-6). • Recorded a single in his only at-bat in the postseason in game four of the ALCS. In his final 10 games this season, he hit .250 (9-36) with a .325 OBP, .797 OPS, one double, two triples, one home run, and one stolen base…Did not commit an error in 17 TC...Recorded his 1st ML hit; single off H. Kuroda Sept. 19 at NYY...Made his 1st career start (LF)...Made his Major League debut as a PR in the 9th inning Sept. 2 at TB becoming the 19th Canadian-born player to appear in an ML game for TOR after having his contract selected from Buffalo… In 12 games with the Bisons hit .358 with 5-2B, 5-RBI & 6-SB...Recorded his 1st career triple to leadoff the 2nd inning Sept. 26 vs. BAL...Collected his 2nd triple of the evening in the 5th inning becoming the 1st TOR player since Alex Rios to accomplish the feat (April 27, 2005 vs. TB)...Is the 11th different Blue Jay to hit two triples in a single contest (13x)… Of those 11 players only Pompey and Devon White have had an additional extra base hit in the same game… Is the 3rd Blue Jays' rookie to hit two triples in one game (last: Shannon Stewart, 1997)...Swiped his first career stolen base Sept. 25 vs. SEA...Hit his 1st career HR, a one-run shot off F. Hernandez Sept. 23 vs. SEA… Is the 9th different Canadian-born player to hit a HR as a Blue Jay & the 5th different Canadian to do so at Rogers Centre...He picked up an RBI in his 1st MLB PA Sept. 10 vs. CHC...Appeared in four different levels after starting the season in A-ball...Collectively, posted a .317 AVG this year with 22-2B, 9-3B, 9-HR & 43-SB...Began the season with Dunedin before being promoted to New Hampshire & Buffalo...Was selected to the World Team for the All-Star Futures Game in Minnesota...Was also named as a Mid-Season All-Star in the FSL...Appeared in 19 games for Mesa of the Arizona Fall League following the season...Posted a .257 average, .729 OPS, four doubles and two triples. October 1, 2018 Toronto Blue Jays recalled RF Dalton Pompey from Buffalo Bisons. August 27, 2018 Buffalo Bisons activated RF Dalton Pompey from the 7-day disabled list. August 14, 2018 Buffalo Bisons placed RF Dalton Pompey on the 7-day disabled list retroactive to August 12, 2018. July 17, 2018 LF Dalton Pompey assigned to Buffalo Bisons from New Hampshire Fisher Cats. July 12, 2018 LF Dalton Pompey assigned to New Hampshire Fisher Cats from Buffalo Bisons. July 9, 2018 Buffalo Bisons sent OF Dalton Pompey on a rehab assignment to GCL Blue Jays. May 30, 2018 Buffalo Bisons placed LF Dalton Pompey on the 7-day disabled list. May 26, 2018 Toronto Blue Jays optioned LF Dalton Pompey to Buffalo Bisons. May 25, 2018 Toronto Blue Jays recalled Dalton Pompey from Buffalo Bisons. May 12, 2018 Toronto Blue Jays optioned LF Dalton Pompey to Buffalo Bisons. May 4, 2018 Toronto Blue Jays recalled Dalton Pompey from Buffalo Bisons. April 19, 2018 Toronto Blue Jays optioned LF Dalton Pompey to Buffalo Bisons. April 15, 2018 OF Dalton Pompey assigned to Dunedin Blue Jays. April 13, 2018 Toronto Blue Jays sent CF Dalton Pompey on a rehab assignment to Dunedin Blue Jays. March 29, 2018 Toronto Blue Jays placed CF Dalton Pompey on the 10-day disabled list retroactive to March 26, 2018. Right wrist sprain. November 2, 2017 Toronto Blue Jays activated CF Dalton Pompey from the 60-day disabled list. July 4, 2017 Toronto Blue Jays sent OF Dalton Pompey on a rehab assignment to Buffalo Bisons. June 29, 2017 Toronto Blue Jays sent OF Dalton Pompey on a rehab assignment to Dunedin Blue Jays. June 4, 2017 Toronto Blue Jays sent OF Dalton Pompey on a rehab assignment to Buffalo Bisons. May 30, 2017 Toronto Blue Jays sent OF Dalton Pompey on a rehab assignment to Dunedin Blue Jays. April 23, 2017 Toronto Blue Jays transferred CF Dalton Pompey from the 10-day disabled list to the 60-day disabled list. Concussion. April 2, 2017 Toronto Blue Jays placed CF Dalton Pompey on the 10-day disabled list retroactive to March 30, 2017. Concussion. October 14, 2016 Toronto Blue Jays activated CF Dalton Pompey. October 6, 2016 Toronto Blue Jays reassigned CF Dalton Pompey to the minor leagues. September 2, 2016 Toronto Blue Jays recalled CF Dalton Pompey from Buffalo Bisons. July 8, 2016 Buffalo Bisons activated CF Dalton Pompey from the 7-day disabled list. June 19, 2016 Buffalo Bisons placed CF Dalton Pompey on the 7-day disabled list. March 18, 2016 Toronto Blue Jays optioned CF Dalton Pompey to Buffalo Bisons. October 26, 2015 OF Dalton Pompey assigned to Leones del Escogido. September 1, 2015 Toronto Blue Jays recalled CF Dalton Pompey from Buffalo Bisons. July 17, 2015 CF Dalton Pompey assigned to Buffalo Bisons from New Hampshire Fisher Cats. June 6, 2015 CF Dalton Pompey assigned to New Hampshire Fisher Cats from Buffalo Bisons. May 2, 2015 Toronto Blue Jays optioned CF Dalton Pompey to Buffalo Bisons. September 2, 2014 Toronto Blue Jays selected the contract of Dalton Pompey from Buffalo Bisons. August 20, 2014 CF Dalton Pompey assigned to Buffalo Bisons from New Hampshire Fisher Cats. August 19, 2014 New Hampshire Fisher Cats activated CF Dalton Pompey from the 7-day disabled list. August 7, 2014 New Hampshire Fisher Cats placed CF Dalton Pompey on the 7-day disabled list. July 17, 2014 New Hampshire Fisher Cats activated CF Dalton Pompey from the temporarily inactive list. July 12, 2014 New Hampshire Fisher Cats placed OF Dalton Pompey on the temporarily inactive list. June 27, 2014 OF Dalton Pompey assigned to New Hampshire Fisher Cats from Dunedin Blue Jays. April 1, 2014 OF Dalton Pompey assigned to Dunedin Blue Jays from Lansing Lugnuts. March 11, 2014 OF Dalton Pompey assigned to Toronto Blue Jays. August 29, 2012 OF Dalton Pompey assigned to Lansing Lugnuts from Bluefield Blue Jays. August 25, 2012 Dalton Pompey assigned to Bluefield Blue Jays from Vancouver Canadians. June 29, 2012 Dalton Pompey roster status changed by Vancouver Canadians. 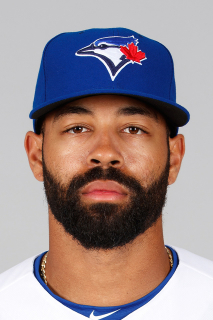 June 13, 2012 OF Dalton Pompey assigned to Vancouver Canadians from Bluefield Blue Jays. March 7, 2012 OF Dalton Pompey assigned to Toronto Blue Jays. August 10, 2011 Dalton Pompey assigned to Bluefield Blue Jays from GCL Blue Jays. July 31, 2010 Dalton Pompey roster status changed by GCL Blue Jays. July 1, 2010 OF Dalton Pompey assigned to GCL Blue Jays from Toronto Blue Jays. June 17, 2010 Toronto Blue Jays signed OF Dalton Pompey.